There is an interesting new study published by James L. Powell that is taking the scientific and the environmental world by storm. Powell's study set out to determine if there is indeed a gap between scientists when it comes to the existence of global warming. Polls of the public have shown that they believe scientists are split when it comes to the argument whether humans are the cause of global warming or not. However, James Powell believed this if this was true, then the peer-reviewed articles in scientific journals about the topic would be able to reflect the equal division. Through tireless review of these articles, it was shown to have some shocking results. James Powell gathered scientific articles published between January 1, 1991 through November 12, 2012 with the phrases "global warming" or "global climate change." This resulted in 13,950 articles. Of those articles only 24 specifically rejected human-caused global warming or suggest any other cause other than CO2 emissions. His research has also resulted in displaying a significant rise in articles related to global warming since 1991. A key arguments proposed by global warming deniers is that because of the biased toward them, they are prevented from publishing in peer-reviewed scientific journals. However, upon finding these 24 articles that were published in 18 different journals, Powell has proved that this argument is invalid. It is clear that they would have been able to publish their findings, had they had any merit to them in the scientific community. James Powell has recently updated his findings for 2013. He measured the amount of global warming articles published in peer-reviewed scientific journal from November 2012, where his first study ended, to December 2013. Powell gathered a whopping 2258 climate change related articles and out of all of them, only 1 rejected man-made global warming. 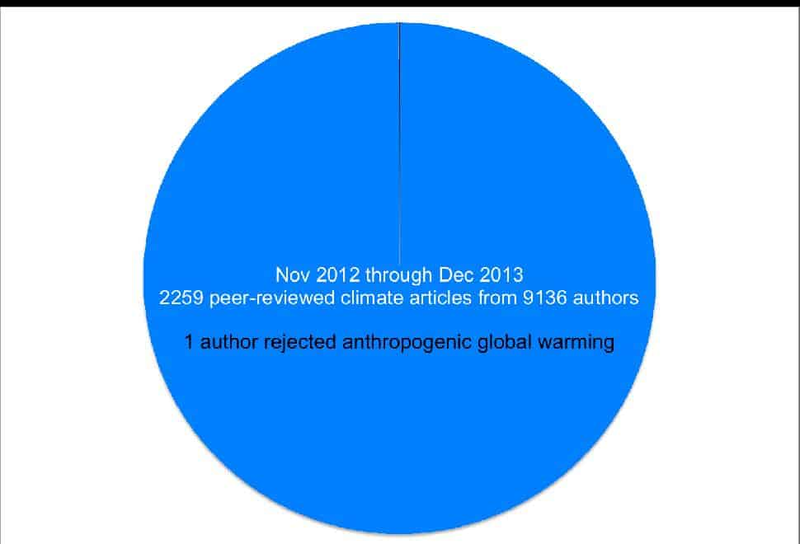 It is through the previous and this newest study that James Powell continues to discredit global warming deniers. The deniers have been forced to admit that the Earth has been warming; however Powell states that they have recently adopted a new mantra that "global warming ended in 1998." However, this would mean that some miraculous force would have had to stop the greenhouse effect, something that has not happened. Powell believes that soon global temperatures will again set a new record that will once again force global warming deniers to admit that the Earth is still warming. Powell predicts that after the deniers are forced into that corner, they will once again return to their previous statement that the rise in CO2 is not due to human activities. However, he has already prepared an argument for such an event. Since deniers refuse to admit the correlation between the dramatic rise in CO2 in the atmosphere and the dawn of the Industrial Revolution when humans began using fossil fuels, Powell has created a series of charts showing the connection. These charts track the amount of a carbon isotope known as C14 in plants and the atmosphere. 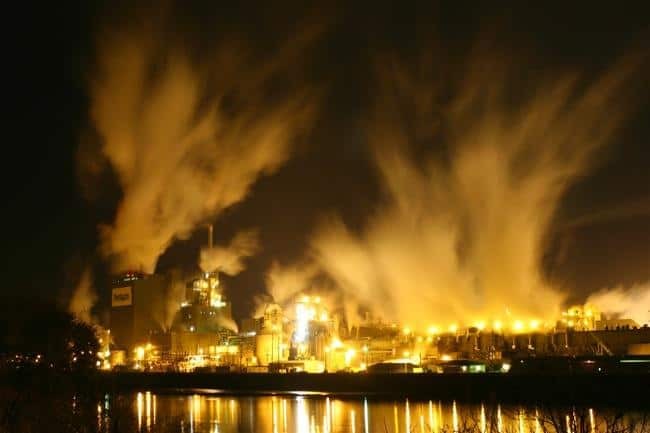 It shows the C14 levels are diluting in the atmosphere, as they burn up in 50,000 years or so, but not replenishing as they would when living plants or animals are releasing it. Because C14 is long gone in fossil fuels, this is definitive proof that because we are burning excess fossil fuels, that humans are indeed responsible for global warming.